I don't think anyone will disagree with me, if I say the R15 is the best designed commuter sport bike in the Indian market today in the 150cc segment. R15 has been the epitome of success for performance bikes in the Indian market and R15 has brought its latest variant the R15s. This is a brief review about the bike. Hope it is useful. The R15 series of bikes doesn't require any introduction I suppose. The name speaks it all. When the R15 version 1 was introduced, the consumers wholeheartedly accepted the bike. It was a huge hit. But people weren't that impressed with the rather thin rear tyre. Then Yamaha came up with a more sturdy muscular and sportier design. The version 2 was launched with more aggressive looks and a split seat which looked a rather too stylish. Being a huge fan of the R15 I would say that it was a great attempt from the company to really make one of their premium bikes a little more appealing. The version 2 also sold out like hotcakes. Guys really looking forward to a fantastic riding experience went and bought the new version 2 almost instantly. One thing people complained about was the pillion seat, which was a mere formality rather than being practical. No one on this planet can sit comfortably on the small split seat provided by Yamaha in this newer version. I don't know what prompted them to design a pillion seat like that. The attempt from Yamaha was straightforward; they wanted to bring the R1 and R9's design into the 150 segment. The attempt was good, but personally didn't like it at all; I will explain further why I didn't like the design. Responding to the customer's grievances Yamaha launched one more new version, the YZF R15s. The company merged the two designs of earlier models to bring a new R15. Here I will give a brief review about the new bike. Whether it the best replacement for the version 2? Will it surpass the version 2.0 in terms of sales? Has Yamaha worked on it enough to make it the champion in the 50 segment? Or is it still lacking anywhere? I would try to answer all these questions in this brief review. Let us start with design. 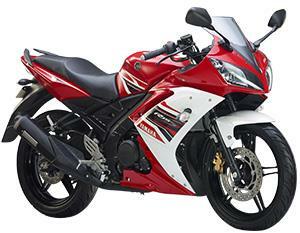 The R15 has been the best sports bike in the Indian market in the 150cc segment. You have to be fairly hating guy to hate the compact and the eye catchy design of the charming and scintillating R15. Rest all will always love the superb design of the original R15. Then it had flaws which had to be corrected and refurbished. The rear tyre was too thin for a sports bike to look the way it is meant to be. 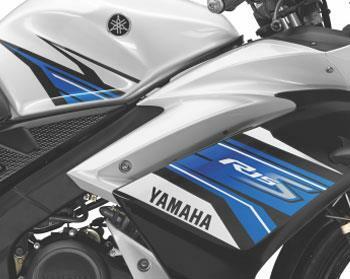 What the R15s brings here is the combination of the two earlier versions which is a good move by Yamaha. But how does it fare in the market is a big question. This time around Yamaha brings the combination of a good comfortable seat with a more polished rear tyre. 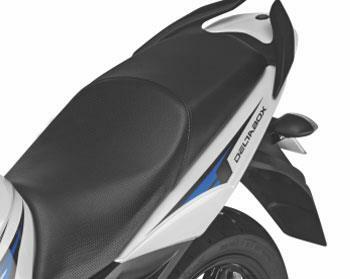 So Yamaha has tried hard to answer to the customers demand for a good pillion seat in the Yamaha R15. The design is good and frankly speaking I really like the design of the new R15s, but the only grudge I hold against the design is the rear mud guard which is definitely ruining the whole image of the bike and is not at all a good thing to have on an already successful design in the Indian market. The DeltaBox frame is great and gives the rider a lot of confidence and a lot of stability. The best thing about any R15 bike is the handling ability which is probably the best. At no moment of your ride will you lose confidence or feel insecure. This stability proves that when you buy the R15 you are always going to be feeling more than satisfied with not only the performance but also the handling and the cornering ability. Same is the case with the new R15s. It will always give you a joyful ride. Now I would like to answer the question of why I didn't like version 2.0's design. When anyone is looking for a 150cc segment bike they are truly looking for a performance bike rather than a full-fledged sports bike. So a non–practical pillion seat doesn't do justice to the design at all. People looking for real sports bike can go for other bikes like the R1 and the R9. Bikes like Kawasaki Ninja are also a good option if you really want to go for sports bike. So for me I think the new R15s is a good option to go for when you want a good performance oriented 150cc bike. I would rather go for R15s rather than going for the version 2.0. This is my personal view. If you want a sports looking bike and want only 150cc variant then you can truly go for the version 2.0. So it is always going to be your choice at the end. As for me I would like to go for the R15s. I would rate the design 4.6 stars out of 5. There is no change in the overall design of the speedo and the Instrument Cluster from the version 2.0. It is the same speedometer with the tachometer alongside the speedometer. Everything is carefully crafted in the bike to give the rider the best view of the speedo and the engine revs. There are also odometers to give you accurate information of how many kilometres you travelled on your bike. The trip meter helps you to be in control to never run out of fuel. The design of the Speedometer and the Instrument Cluster remains the same as the old bike and nothing has changed considerably. I would say instead of the white colour, any other colour like the orange in the CBRs would be very smart. Then again it is my personal opinion, If you like the white one it is fine for you. Nothing much has changed and everything looks fantastic and meticulously crafted in for a bike of sports genre. There is nothing you can complain about and of course Yamaha uses good quality material and that is evident in its construction overall. I would rate it 4.3 out 5 stars for the design and the quality. Do I need to speak anything about the performance of the overall tried and tested R15? I don't think it will make any sense if I do, but still I would like to speak a little about it. For me this is the best 150cc engine in the Indian market today. The smoothness of the engine is really something to speak of. It is smooth every time to make it work. 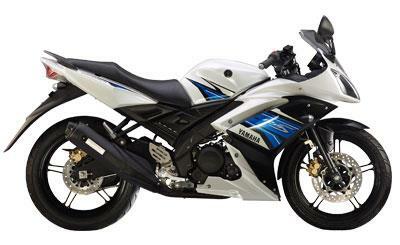 R15 claims to have brought the first liquid cooled engine to Indian market. Here the liquid cooled one is a superb one. The R15s has a single cylinder liquid–cooled, 4 stroke SOHC 4 valve 149cc engine producing maximum power of 16.36 Bhp @8500 rpm while maximum Torque of 15 Nm@ 7500 rpm. The 17 Ps of power in the version 2.0 is reduced to 16.36 Ps of power in the R15s. Don't know what that is for, but plain speaking the engine is a great performer. The mid-range performance and also the high revs is fantastic. The fuel injected motor is really what you would want on your bike. Though you will experience vibrations from it if you happen to cross the 10,000 rpm redline which is prone to happen in a 15cc motor. But as for me the engine is smooth enough to give me a happy ride. If you take care of the engine in the right way and are always on your guard, the engine is going to be getting better. 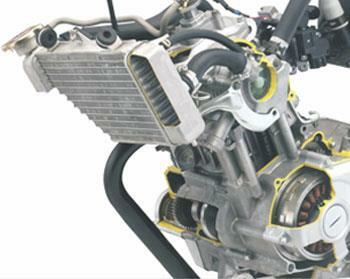 The engine is one of the bestselling points of the bike. I would rate the engine 4.9 stars out of 5. The handling is the company's repertoire and I am always in control when you ride it. This is the best handling bike in the Indian market today. I am not biased in speaking this but yes you need to be true to your conscience while writing a review like this, that's what I am doing. The clip-on handlebars, the DeltaBox frame, smooth transmission, the wider rear tyre, the seating posture, powerful disc brake, super light clutch, and the overall aerodynamics of the bike will give you the best riding experience you will ever have. The seating posture may have a little effect on your wrists the first time around when, you are riding but then it will subside down and you won't have any problems afterwards you get used to the riding position. The dual disc brakes are powerful and have enough bite to keep you in control. You need not to be worried about the losing control. The 6 speed transmission is smooth and no hiccups anywhere while riding. As I said earlier everything gels up so beautifully and brings up a very good quality ride. The durability of Yamaha products will land in good stead to go for the bike. The ride quality is of course the best you will find on any 150cc bike in the market. I don't think you will worry about the mileage much when you have such a great performer. I get around 32 kmpl in cities and 36- 39 kmpl on highways. For me that is not a big issue. I think if you maintain the engine by servicing the bike at the specified time it will even give you more mileage than mentioned above. Pros: Fantastic design, powerful and smooth engine, super light clutch, smooth transmission, best in class handling experience, not too heavy at 134 Kgs, superb breaks. Cons: A bit overpriced, not so impressive rear mud guard, ugly gap between fuel tank and the fairing. I would definitely go and buy this new model because of the good practical seat this time around, and "the no compromise mentality "of the company for performance from the version 2.0. Everything is great on this bike except the rear mud guard. If you can live with that and you like to go for a good seater sports bike and ready to shell out more than 130,000 bucks for it. Then this is the bike you are looking for. If you don't need the usable seat of the new R15s then you can go for the versions 2.0 blindly. No issues. Hope this article is useful guys. Ride safe. God Bless.